It is winter. It is cold, dreary and bass season seems a million miles away. Yet there are some things you can do to help pass the time and prepare for bass season. Have you ever considered modifying your lures? It may sound crazy to purposely alter those lures that you have paid good money for, but the bass pros do it all the time to get that extra edge when they are on the water. It is not difficult, and you may see some improved results next season if you make some adjustments to your lures. Here are some tips you can use to modify your bass baits. It may seem crazy, but shortening the bill on your crankbaits, can change the movement of the bait and the depth at which it runs, which could give you an edge on a slow day. Trim the lip off, just short of the line tie. The bait will then run shallower and it will give it more side to side motion. You can also modify your crankbaits to make them run deeper. This can be achieved by filing down the front edge of the lip to make a sharp, thin edge. In addition to making the bait run deeper, this modification will alter the way the bait moves in the water. Among bass baits, top-water plugs are classic baits that have been taking bass for generations. In heavily fished areas, bass can see a lot of top-water plugs during a season, so making your baits standout from the rest, may give you an advantage. One way to alter your top-water baits is to add a small spinner to the back treble hook. This provides some extra flash and movement that bass do not typically see. This minor tweak could put extra fish in the boat next season. There are a variety of modifications you can make to your jig to help you catch more bass. Among the most affective is trimming the skirt on your jig. Trim the skirt almost to the hook. This can serve two purposes. The first is that it can help you avoid short bites. The second is that it can increase the profile of the skirt when it is in the water, which can make it more enticing to bass. This one may make you cringe when you think of the money you spend on jerk baits, but it can help you catch more bass. Try drilling three small holes in the bait, near the first hook holder. It may seem counterproductive, but this will allow your bait to fill up with water and sink. It is a creative way to add weight to your bait and get it to run deeper, which can be a real benefit, especially in clear water. It also changes the movement of the bait, which can help trigger a strike. Another effective jerk bait tweak is to paint the treble hooks red. This can give the appearance of an injured, bleeding fish. The important thing to remember when modifying baits, is that no bait is perfect when you purchase it from the store. 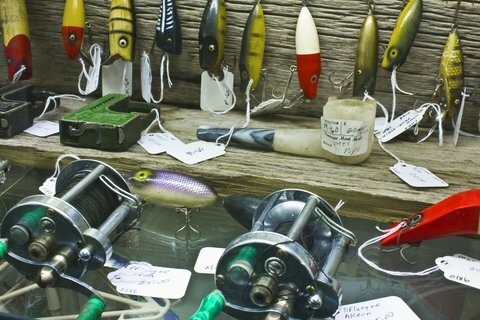 The pros make modifications to their lures all the time, so there is no reason you can’t give it a try. If nothing else, it allows you to have more tools in your tackle box when the season starts and can give you an extra edge over other anglers.